CoxHealth’s urologists offer surgical and non-surgical care for urological conditions. Treatment options offered include laparoscopic prostate removal, surgical robotic procedures, lithotripsy, laser therapy and UroLift. Laser therapy procedures can be used to treat tumors in the bladder, kidney stones and certain other severe urinary problems. This treatment uses ultrasound shock waves to break kidney stones so they can be passed out by the body. Biopsy is available for patients who have prostate lesions detected by MRI, which provides more accurate localization. 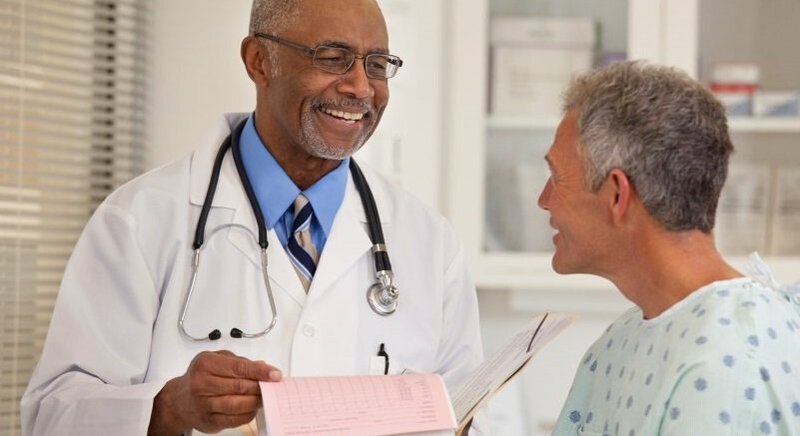 Treatment for prostate cancer can include conservative management, radiation therapy, cryosurgery and/or prostatectomy, which is the surgical removal of your prostate. The goal of prostate removal is to remove all the cancer, which can mean removing your prostate and the tissues around it. Robotic surgery is a minimally invasive option that can be used for procedures including bladder removal, kidney removal and repair, prostate removal and vaginal vault prolapse repair. Treatment with the UroLift® System uses a minimally invasive approach that provides rapid relief and recovery for benign prostatic hyperplasia (BPH) symptoms. It works by lifting and holding the enlarged prostate tissue out of the way so it no longer blocks the urethra. It is the only BPH proceudre that does not require ongoing BPH medication or cutting, heating or removal of the prostate tissue. Advantages include rapid symptom relief, lower risk than surgical procedures, preservation of sexual function, rapid return to normal activity, no ongoing medication and improved quality of life.